LOGANSPORT, Ind. 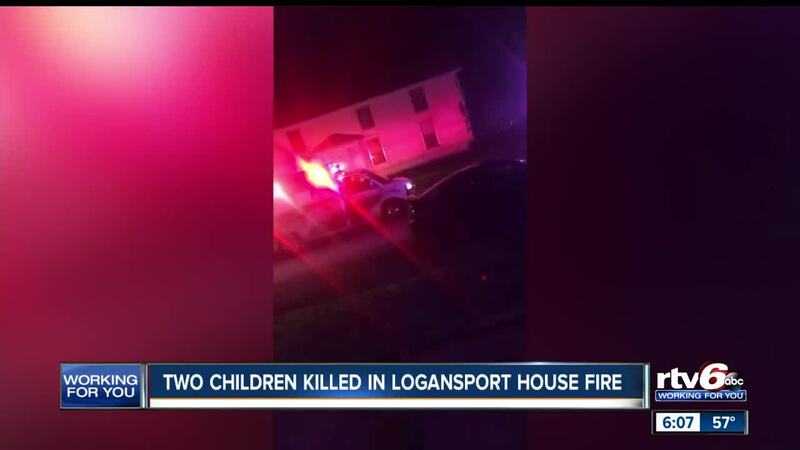 – An accidental fire that started early Sunday morning at a residence in Logansport, Ind. killed two children and injured one child and their mother. Logansport Fire Department Chief Bernie Mittica said the mother called 911 around 1 a.m. after she jumped out of an upstairs window and rescued her infant. Mittica said were able to rescue two of the children, who later died. Cataleya Arellano, 5, and Jason Whitelow Jr., 16-months-old, were killed in the fire, according to Cass County Deputy Coroner Rod Zeck. Zeck says the case is still pending and an autopsy will be performed Monday morning. Firefighters believe the fire possibly started in an outlet on the ground level of the house. The father had left for work before the fire started and was not home at the time. Mittica said they are unsure at this time if the home had working smoke detectors.